A service to honor the life of Mrs. Eva Norsworthy Phillips will be at 1 p.m. Friday, Dec. 1 at First Baptist Church of Provencal with Bro. Bill Hudson officiating. Interment will follow at Bellwood Cemetery under the direction of Blanchard-St. Denis Funeral Home. The family will receive friends from 11 a.m. until service time at the church, located at 123 Maple St., Provencal. Eva, 89, and a resident of Bellwood, passed away Wednesday, Nov. 29, 2017, in Natchitoches. She was born Christmas Eve 1927 to Leo and Minnie McClendon Norsworthy in Bellwood. She was preceded in death by her parents; husband, Allen J. Phillips; and sons, Richard Allen Phillips and Russell Wade Phillips. Eva was so proud of the fact that she was the matriarch of five generations. Her family brought her great joy. 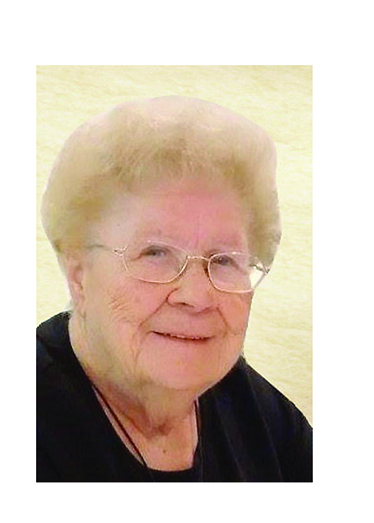 She was a long-time and the oldest active member of First Baptist Church in Provencal and enjoyed fellowship with her church family. Eva was possibly best known for always cutting her grass and keeping her yard in meticulous condition. She will dearly be missed but we take comfort in knowing we will be reunited with her one day in heaven. She is survived by her daughters, Denice Mayeux of Crestview, Fla., and Donna Razo and husband Mike of Arlington, Texas. She was blessed with five grandchildren, two great-grandchildren, and two great-great-grandchildren. She is also survived by a nephew whom she considered a son, Mike Jones and wife Kilita; her sisters, Odeal Rachal of Bellwood and Gertrude Guffee and husband Elmer of Shreveport; dear friend, Mary Ivy; and daughters-in-law, Anne Marie Phillips and Sam Phillips; and many cousins, nieces, nephews and friends.